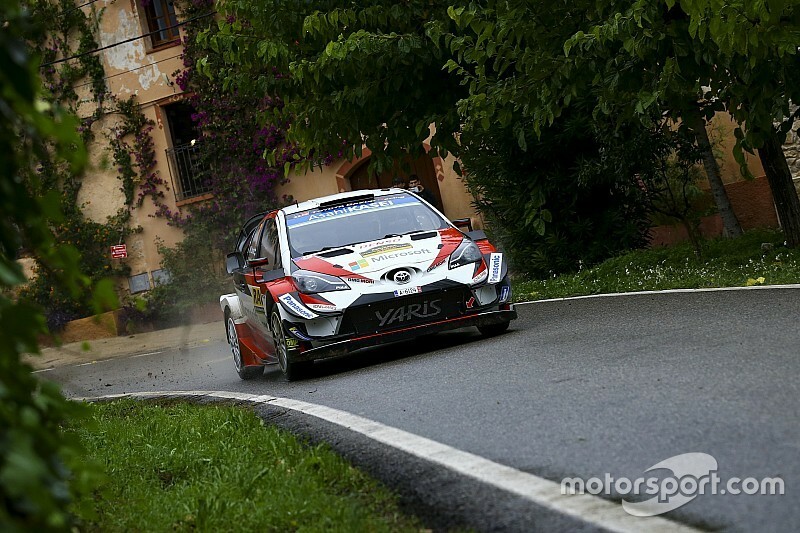 Jari-Matti Latvala became the fourth different leader on Rally Catalunya after the Saturday stages, as the Toyota driver chases his first World Rally Championship victory in 20 months. The changing weather conditions meant running order proved critical across the afternoon’s four asphalt stages; those late onto the routes struggling in heavy rain. 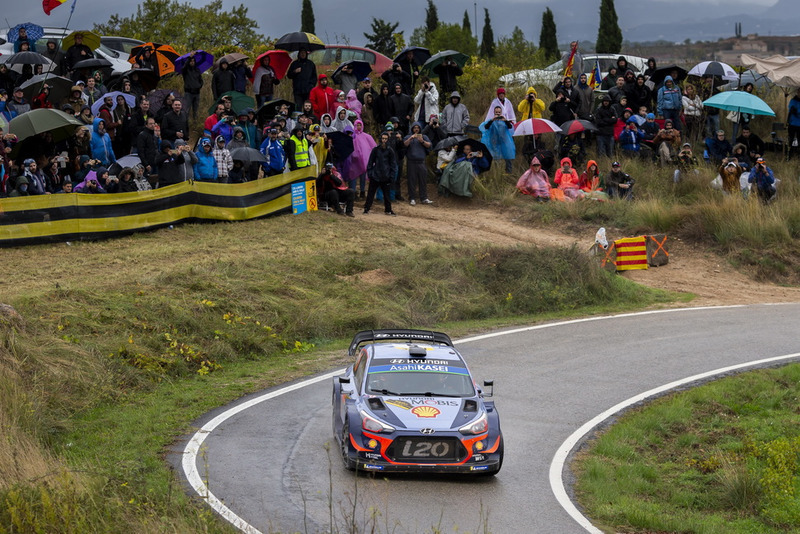 After Ott Tanak suffered a puncture on the morning’s final leg that cost him his commanding 32.9-second lead, Hyundai’s returning Dani Sordo had led his home event. 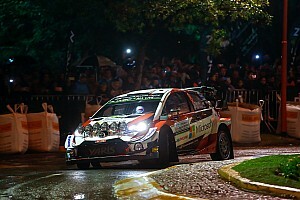 But Sordo lost out to Latvala on the first use of Savalia – after the morning’s run was cancelled due to badly placed spectators. 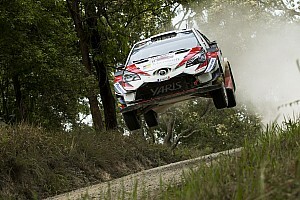 Compounding his woes, on SS13 he was slowest of the WRC field and so dropped to sixth. That allowed a consistent Latvala, who has not won in the WRC since Sweden last season, to steal a 4.7s march, despite what he considered to be a poor performance on the reversed El Montmell stage. 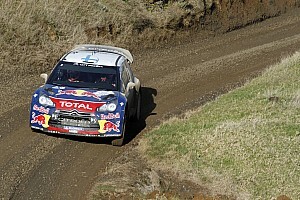 As Tanak admitted that his title hopes were over, Sebastien Ogier climbed from fifth to second as he hunts down championship leader Thierry Neuville. After his leg had ended, wet weather moved in. That meant Sebastien Loeb was unable to take advantage of the extra grip available from his soft tyres and so fell behind Ogier. Conditions continued to deteriorate, however, for those behind him, and the nine-time WRC champion hangs on to a potential podium by 1.3s ahead of Elfyn Evans. Neuville lies fifth, ahead of Sordo and Esapekka Lappi who suffered a high-speed, sixth gear spin also on SS13. Citroen’s Craig Breen – who reckoned he had “the most horrible stage I’ve ever driven in my life” during the morning – and Tanak are eighth and ninth. Gearshift issues for Eric Camilli on SS11 look set to deny the Volkswagen Polo GTI R5 a WRC2 victory on its maiden competitive event, as Skoda Fabia driver Kalle Rovanpera moved to top of the class.